I am still working on the boring old stones. After taking this photo, I noticed that I didn't hit one of the seams with charcoal paint. You glue the torn piece of egg carton on and then rub on more white glue with your fingers. I do some this way and leave other ones rough for texture. You can add more torn egg carton any time during the process. Here you see the end wall half painted. I decided it needed more texture, so I stopped painting long enough to add more. Now I will go back to painting. Someone remind me that I need to do that spot at the bottom. I finished the back of the cottage. I might do a few minor touch ups, but it is pretty much done. I decided that the Attic is going to be finished and went to look for flooring...I decided on leopard skin linoleum. My Tessie problem is....She loves leopard skin prints. She says that they match her pets. NO. She doesn't approve of real leopard skin...Just prints. Now she is begging me to let her at least have the attic. Not going to happen. When she starts practicing her clog dancing, I will not be able to hear myself think. I gave her all of the scraps that I had left and told her to go make something with them for herself...She is not satisfied with that solution by a long shot. Mollified...Maybe. We shall see how long it keeps her in check. Love the way the stonework is looking! All the houses I end up with seem to have the milled siding. I really need to work on one with smooth sides. Considering I have four with milled siding I don't see that happening anytime soon lol. HI Casey! I have to say how much I am enjoying the stone work that you have done on the Storybook cottage! I have just "completed" 2 sides of egg carton stone using a rough and random application on the Arthur dollhouse kit. Lucille informed me via the comments, that you were doing a stonework application and that I should stop by. As it happens we have both used the same materials and have different results! I hope that you will come by Studio E and see how I have made use of the egg cartons and I will continue to enjoy your progress on your cut stone application. I still have a very long way to go both inside and out. 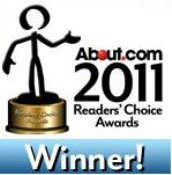 All the best on your final leg of the Readers Choice Award. You are all winners in my book! That stonework is fantastic. It looks so realisitc and the texture is just right. Love it! I cannot wait to see the attic floor. Good luck with Tessie...you'll need it.